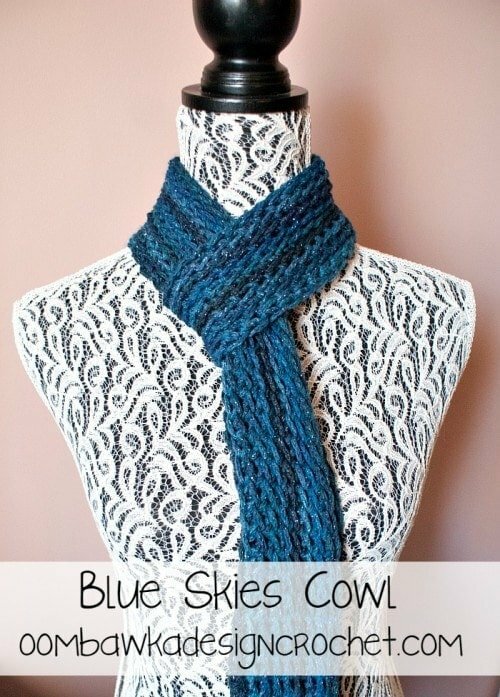 The Blue Skies Cowl Pattern is available for free! 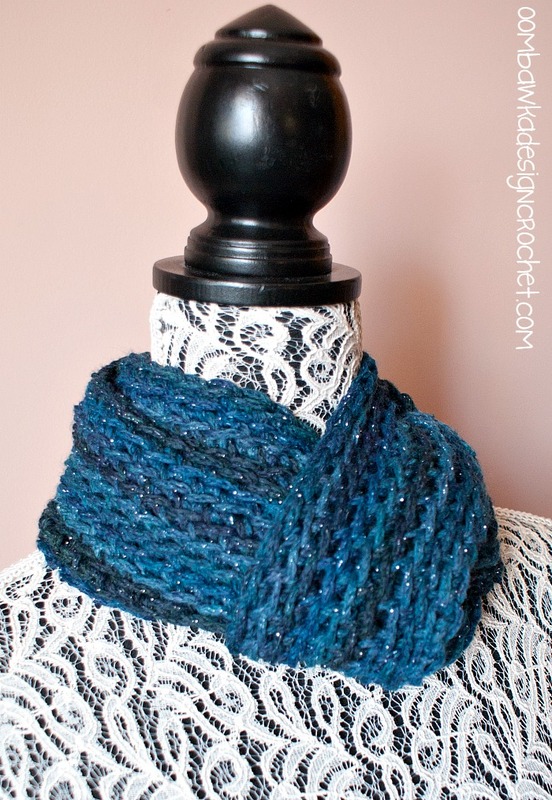 This design uses 1 ball of yarn and can be completed easily in one evening. R1: Leaving an 8″ tail of yarn, Foundation Single Crochet 165 stitches, line up the beginning and the end of this row without allowing the row to twist. You are now working in continuous rounds. Do not slip stitch to join or add additional chain stitches unless specifically indicated. R3-R10: repeat R2, finish off and weave in ends. 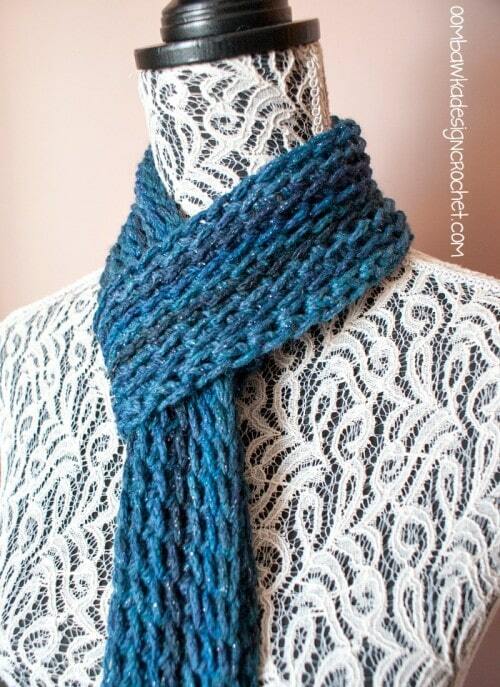 Using the initial 8″ tail of yarn, close the small gap left at the beginning of R1, finish off and weave in ends. 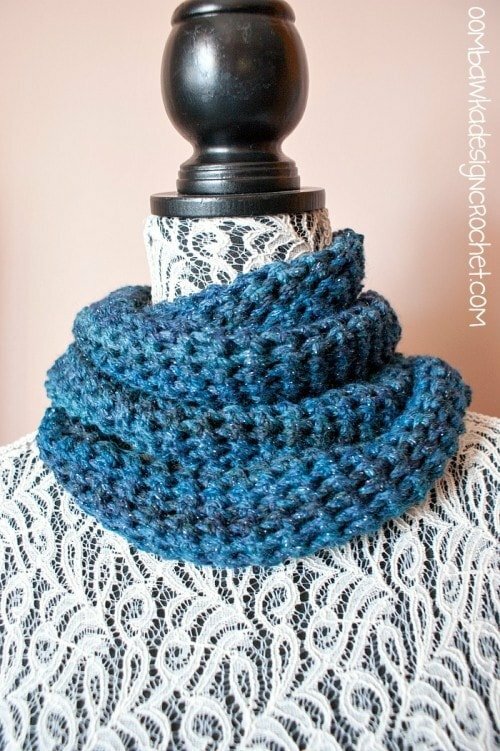 I love this blue cowl… it is my favorite pattern of yours!! Cute and convertible, love it. This is cute. It is going to be fun working this pattern. It will be great project to take anywhere to work.